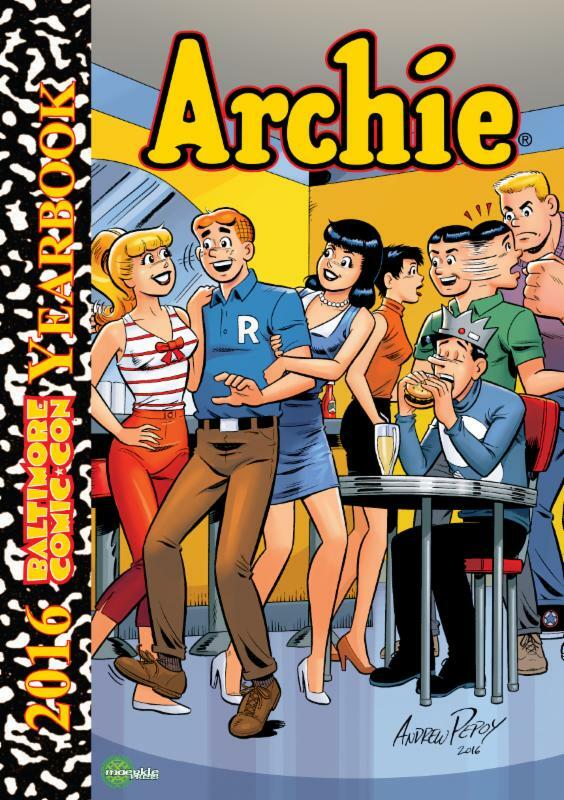 A huge list of artists contribute their renditions of Archie and Friends for this year’s Baltimore Comic-Con Yearbook. 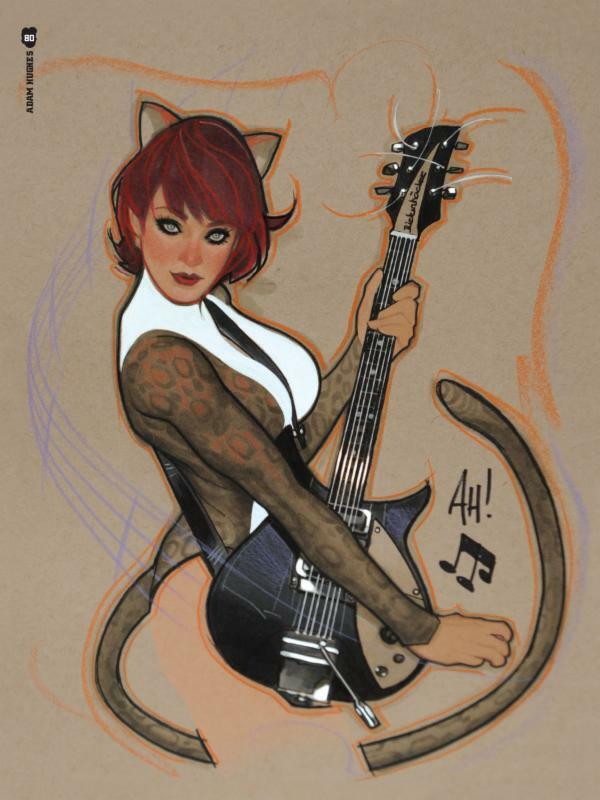 In past years the Baltimore Comic-Con has spotlighted an independent comic creation in their annual yearbook, available at the show and featuring a collection of pin-ups by other artists. Usagi Yojimbo, for instance, was featured in 2013 for the character’s 30th anniversary. 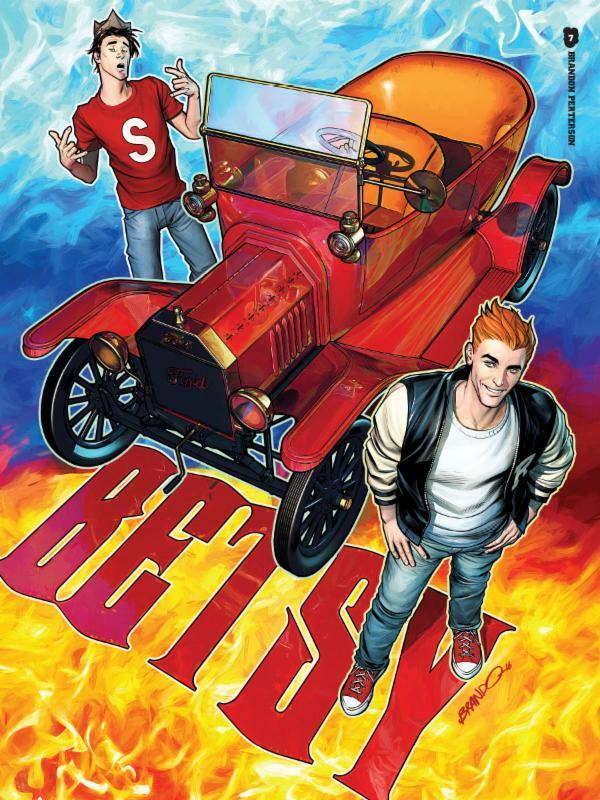 This year the convention has chosen a whole line of characters to feature, as they honor Archie Comics’ 75th anniversary. 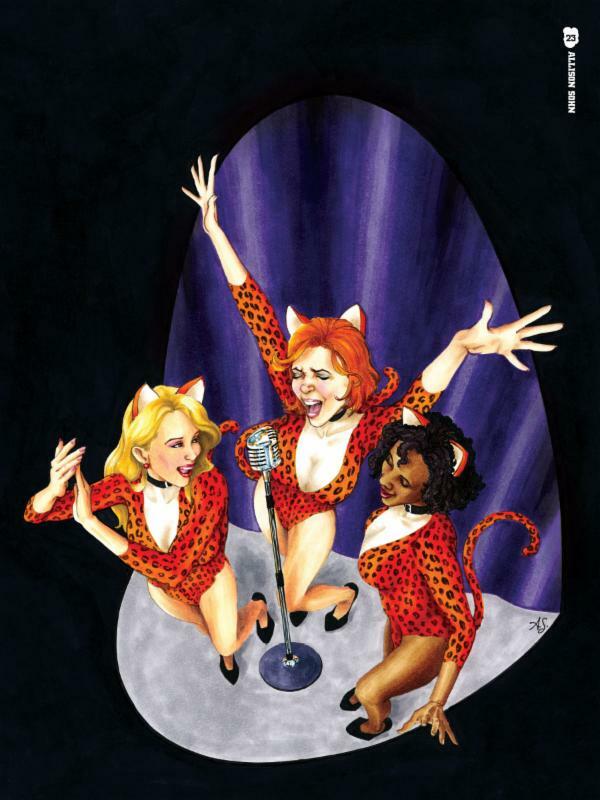 Designed by Love and Capes creator Thom Zahler, the book comes in a standard and, for VIP ticketholders, a limited VIP cover edition. 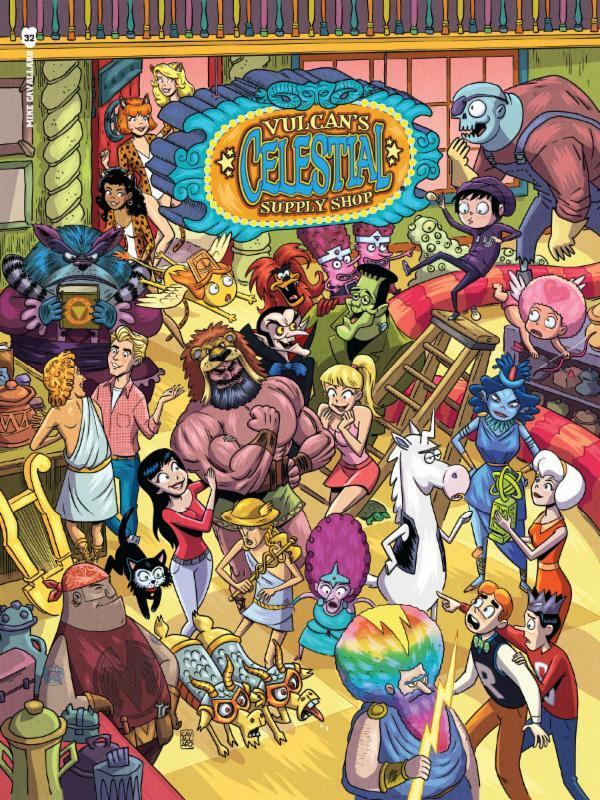 Artists contributing this year include: Scott Ambruson, John Anderson, Jeff Balke, Marty Baumann, Carolyn Belefski, Reilly Brown, Ryan G. Browne, Dave Bullock, Jim Calafiore, Chris Campana, Richard Case, Christa Cassano, Justin Castaneda, Mike Cavallaro, Elias Chatzoudis, Howard Chaykin, Sean Chen, Frank Cho, Matthew Clark, Richard Clark, Steve Conley, Katie Cook, Stephen Coughlin, J. Robert Deans, Joe Eisma, Chris Flick, Ramona Fradon, Franchesco Francavilla, Franco, Alexis Frederick-Frost, John Gallagher, Mark Goldner, Jason Gounger, Dawn Griffin, Dean Haspiel, Meghan Hetrick, Adam Hughes, Chris Kemple, Barry Kitson, Rachel Korsen, Mike Lilly, Nate Lovett, Mark Mariano, John McCrea, Mike McKone, Carl Speed McNeil, Joe Mulvey, Jamar Nicholas, Dan Nokes, Jim O’Riley, Chris Otto, Tom Palmer, Dan Parsons, Paul Pelletier, Andrew Pepoy, David Petersen, Brandon Peterson, Lyle Pollard, Mark Poulton, Andy Price, Ron Randall, Paul Renaud, Emily Romano, Craig Rousseau, Stephane Roux, Joe Rubinstein, Jeff Shultz, Matt Slay, Andy Smith, John K. Snyder III, Nicky Soh, Allison Sohn, Tu-Kwon Thomas, Jeremy Treece, David Trustman, Billy Tucci, Mark Waid, Mark Wheatley, Matt Wieringo, Javier Cruz Winnik, Kurt Wood, Rich Woodall, and Thom Zahler. The BCC will auction off the original art during the show. Check out pieces below by a few of them. The Baltimore Comic-Con runs Sept. 2-4.